IMPORTANT: The multimedia pack, including all the music for the mod, can be downloaded from the FleetOps website. Please visit the official FleetOps forums to report bugs & balancing issues and to obtain technical support. Grab the latest FleetOps patch 3.1.2 from HERE. I guess some of you have been waiting some time for this - the patch with the longest development span since the release of Fleet Operations 3.0 is now available for download. You thought this would be 3.0.8? You are wrong. We have decided to make it 3.1.0 instead. This major sub-release of version 3.0 does includes a number of important features and gives us the foundation for some exiting future content we have in development for you. Despite the changelog speaks mostly for itself i'd like to highlight some of the additions with this patch. The good old ingame interface, which has been largely untouched since Fleet Operations 1.0 was released in 2003 now finally got it's deserved update. The new interface is not just a new "skin" but also has gotten some technical updates. It is now possible to select up to 30 vessels at a time instead of the previous 16 limit. We have also taken on the inflexible cloaking system that Armada 2 provided us. Instead of having just one level of cloak that is always detectable by any sensor station, we now have different stages of cloak. 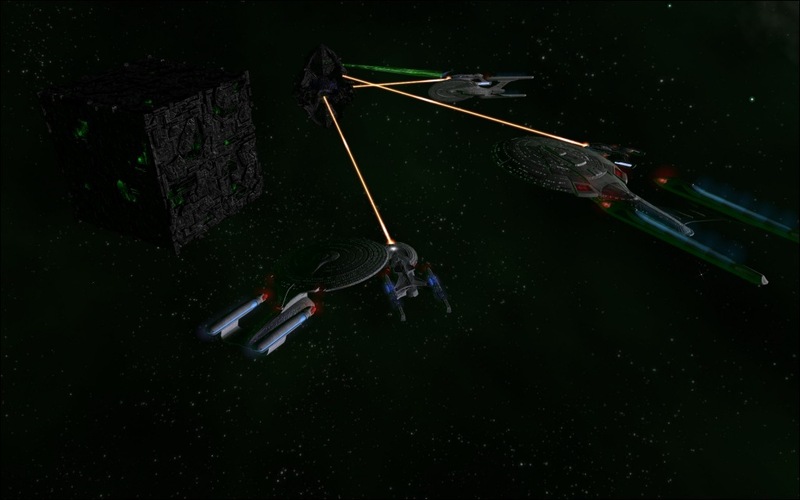 That is quite comparable what you find in the shows where some races have cloaking devices which can be detected far more easily than for example the ones being used by the Romulans. 3.1.0 features also some important balancing changes. We have dug through a lot of input regarding balancing that you have made in our forums and combined some of the best of your ideas in this patch. Thanks for all your input, enjoy 3.1.0. Map Makers: Please note that there have been changes to the bzn file format. That means, previously made maps can currently not be used with 3.1.0. That does not mean your work is lost. Your maps created for 3.0.7 have to be patched. Info on how to do that will be updated here soon. 3.1.0 is a full install. A previous installation of Fleet Operations or Armada II is NOT required. An incremental patch from version 3.0.7 is not available. 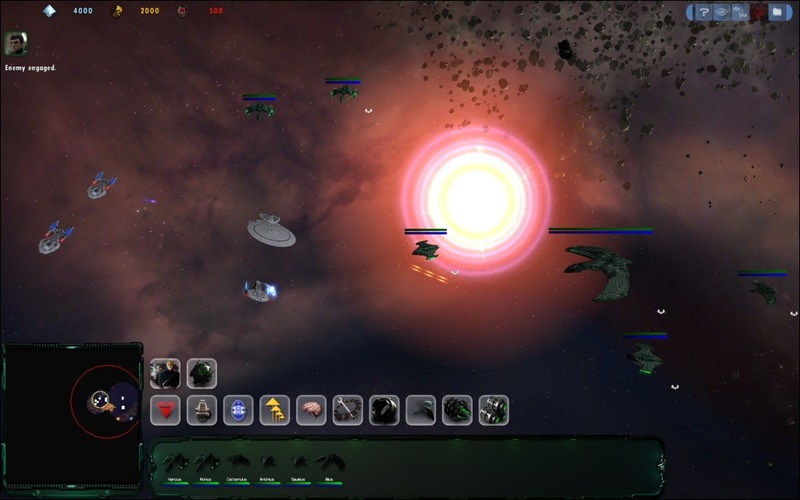 objective of our mod is to bring the game back to the Star Trek root. 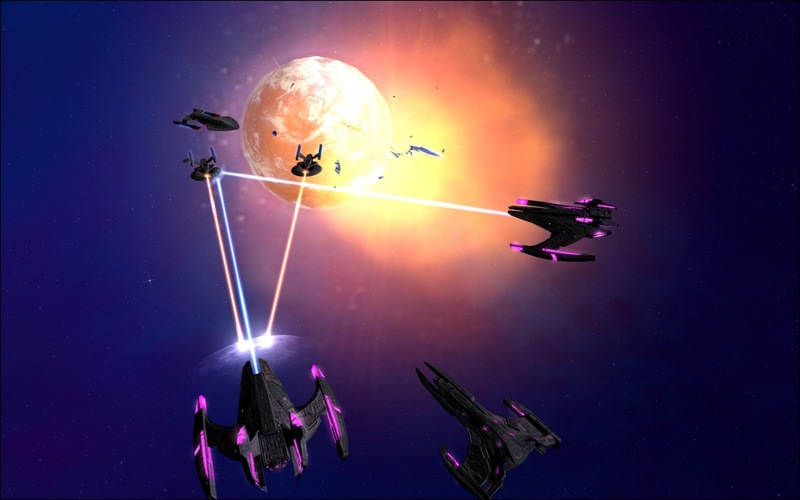 possibility to create a certain number of race specific special ships. more animated star maps to increase perception of the game. 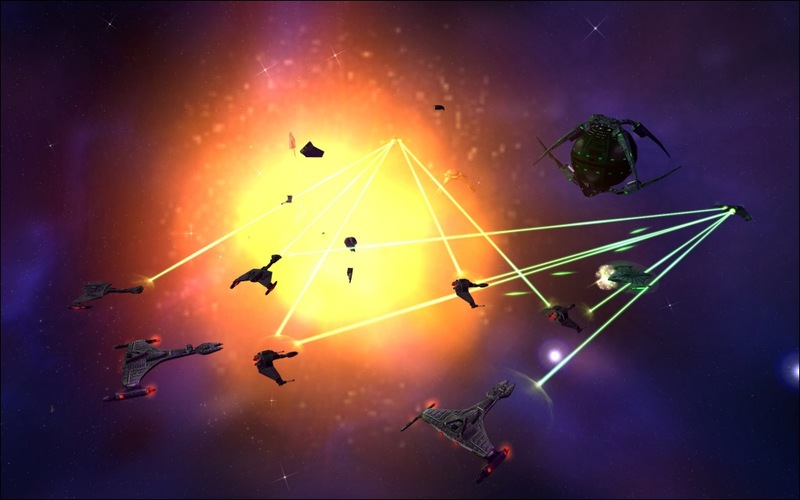 - A new Klingon research option is available: Large Scale Cloaking Devices. abilities have been added to vessels. determined by chosen desktop setting. - Fighters are now launched automatically and will guard their carrier. of the Attack Destroyer. Deals half damage to civil targets and stations. - Alpha Ketracel White shotdelay boost reduced to 30 percent (bf. : 45). 300 Tritanium (bf. : 400 / 200). Techtree contribution increased. correctly states "Game closed" instead of "Game open"
- Fixed several tooltip issues and typos. Thanks for reporting! this mod is 2nd to none! This is a fabulous, absolutly fabulous, this is a must download for anyone! Before I download using my new computer I must know if this works with Windows 7. The updated graphics and general new flow to A2 turns it into a brand new game. Cheers!